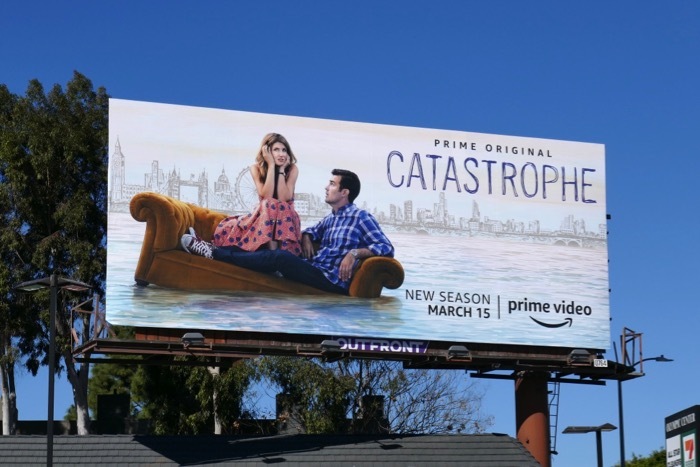 The British comedy Catastrophe by Sharon Horgan and Rob Delaney returns for a fourth and final season this year, and things have changed quite a bit for the couple who had their first baby after a drunken fling on a business trip when they first met. At the end of the third season things weren't looking great for 'Rob' who had crashed his car whilst being drunk and was hiding his drinking from his wife 'Sharon'. 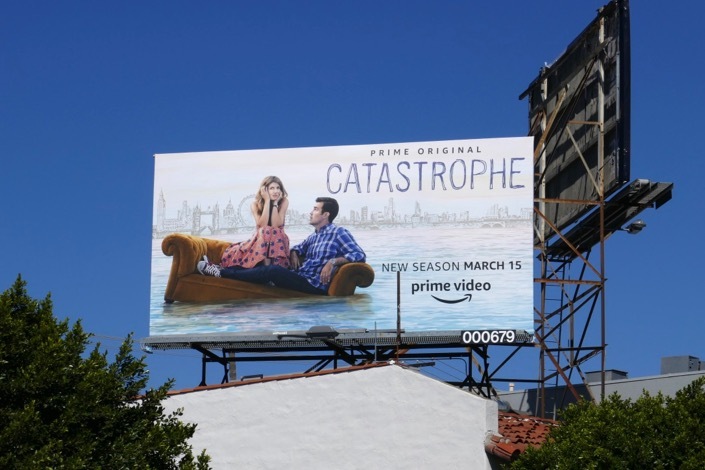 Real life hasn't been a bed of roses for Rob Delaney either with the death of his two-year-old son from brain cancer in January 2018 and the passing of his onscreen mother played by Carrie Fisher in December 2016. 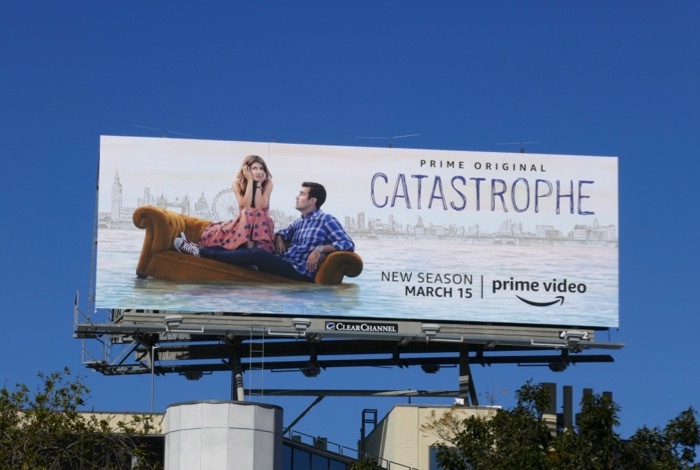 These season four billboards were first spotted in the skies from February 23 to March 14, 2019, along Olympic Boulevard, San Vicente Boulevard, La Brea Avenue and Highland Avenue and more. 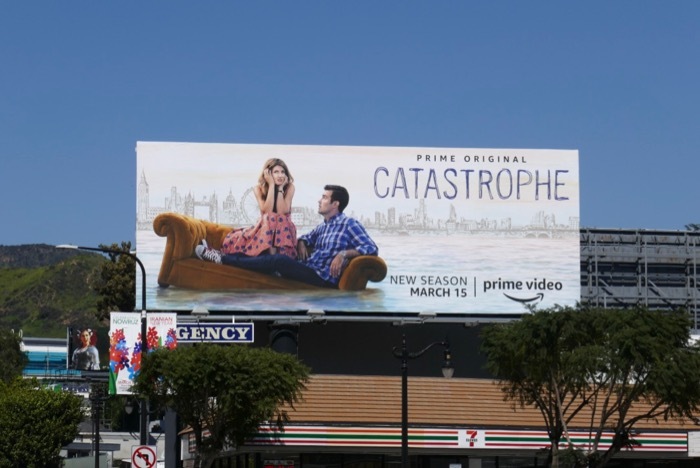 Fans of the comedy can also check out these previous season and awards consideration billboards for Catastrophe from recent years. 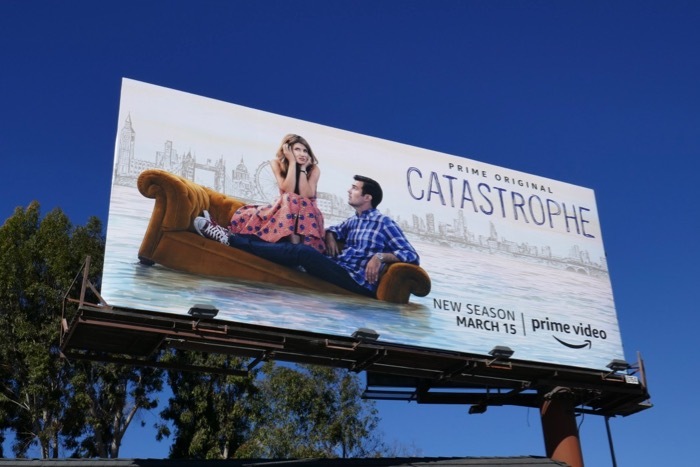 Let's see if this couple can keep keep their love and lives afloat for this final season of episodes at least.